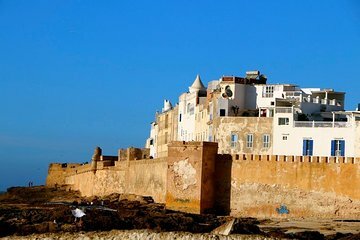 Visit the historic city of Essaouira on a full-day trip from Marrakech for your private group of up to six people. With a local guide to lead the way, you can customize the day to your interests: tour an argan oil cooperative, watch kitesurfers catch Atlantic winds, shop for unique souvenirs, and wander Essaouira’s historic medina, a UNESCO World Heritage Site that was once a bustling trade hub. This 11-hour tour is priced per group.